Just like any major world event, the entire media circuit will be tuned in to the Olympic Games in London over the next two weeks. Such a high profile event has brought in multitudes of fans from around the globe to the cultural hub or London. In preparation for the games, London has dedicated an entire summer festival to celebrating culture. 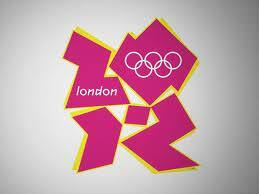 The London 2012 Festival has been running since June 21st and won’t end until September. The Festival features thousands of performances, including well known musical groups, dance acts, comedy shows, and theater productions. Many celebrities are also taking part in the action around London this week by attending Olympic parties all over the city. On Wednesday Muhammed Ali was the honored guest of a charity gala at the Victoria & Albert museum, raising money for Parkinson’s disease research, which the boxing legend has suffered from for 30 years. Ali won gold at the Rome Olympics 52 years ago. Other Hollywood royals including Brad Pitt and Angelina Jolie will be rubbing shoulders with diplomats and other stars at high-end clubs and private parties throughout the Olympic Games. Nicole Kidman is reported to be attending some of the sporting events next week, and will be making appearances at other special events, including a publishing house launch party. 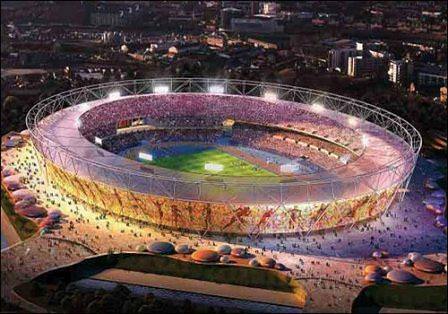 The Olympic Stadium in London will seat over 100,000 guests at Friday's opening ceremony. Of course the most important guest at the opening ceremonies will be Queen Elizabeth II who, as the head of state in the UK, will announce the official the start of the games. The always charming Prince William will also be in attendance with his wife Kate and the entire royal family. U.S. First Lady Michelle Obama will be in attendance, along with Republican candidate Mitt Romney. Former Beatle Paul McCartney will also make an appearance Friday night as the closing act of the ceremonies. Those of us in America will have to wait until 7pm EST tonight to watch the Olympic Opening Ceremonies on NBC. Rumors of what might happen at the event include a massive Voldemort being destroyed by Mary Poppins, and a spectacular appearance from James Bond himself. It’s sure to be a night chuck full of British cultural references, so every Anglophile will definitely be in for a treat. This entry was posted in Celebrities, In The News and tagged Angelina Jolie, Olympics, London Olympics 2012, London 2012, Olympic Games, Prince harry, Prince William, Queen Elizabeth, The London Festival, Muhammed Ali, V&A museum, Brad Pitt, Michelle Obama, Mitt Romney, Paul McCartney, Opening Ceremonies, British Culture, Anglophile, Mary Poppins, James Bond, Secret Opening Ceremonies, Nicole Kidman, Olympic Celebs on July 27, 2012 by Kristina.